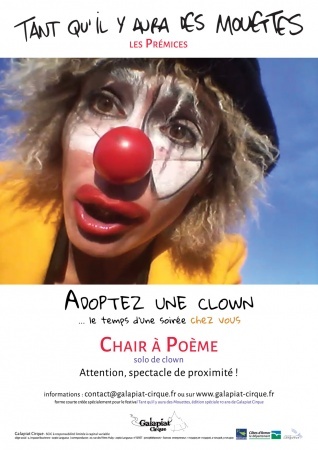 The clown Pouk Personne propose you a solo, a short piece... at your home ! Welcome, for an evening, an intimist show. And it's totaly free ! More than that, you'll be invited to Zéro Risque, the cabaret Pétaouchnok that performs during the festival..